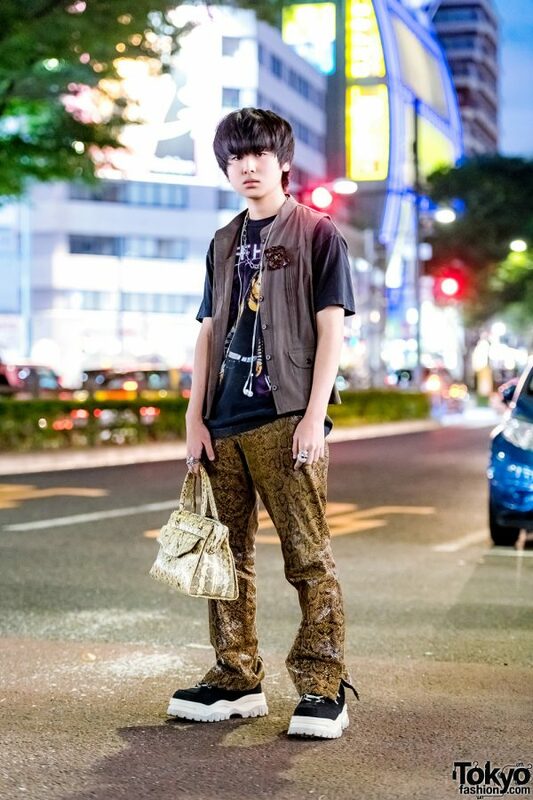 Here’s Taira, a 16-year-old student who we often feature on our Harajuku street snaps. This evening, we caught Taira decked out in a vintage gray suede mandarin collar vest with pleats and a brown boutonniere, which he paired with a black printed t-shirt from Kinji. 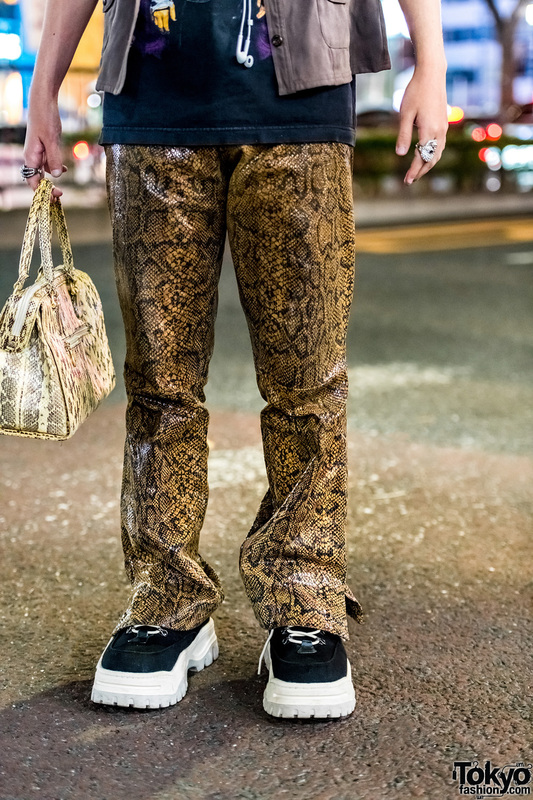 Brown snakeskin pants from Faith Tokyo, two-tone black-and-white sneakers from Eytys, and a vintage snakeskin leather handbag rounded out his outfit. 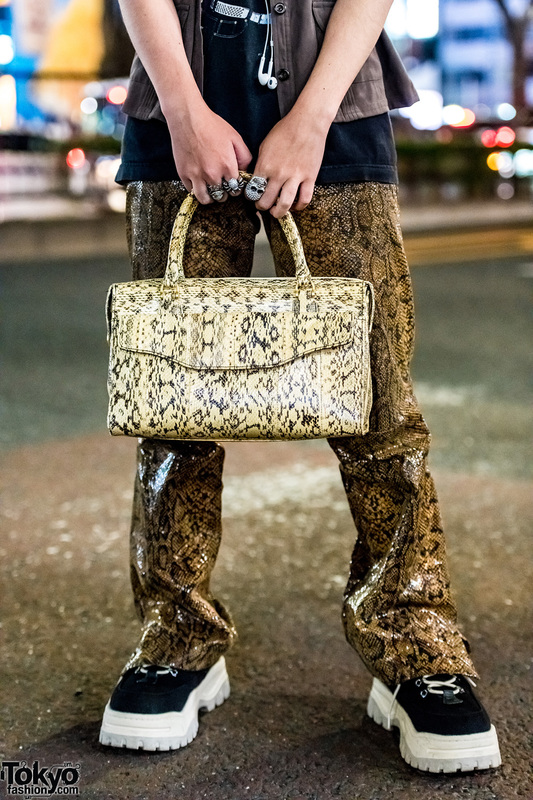 Taira accessorized his look with a silver chain necklace, and silver knuckle rings. 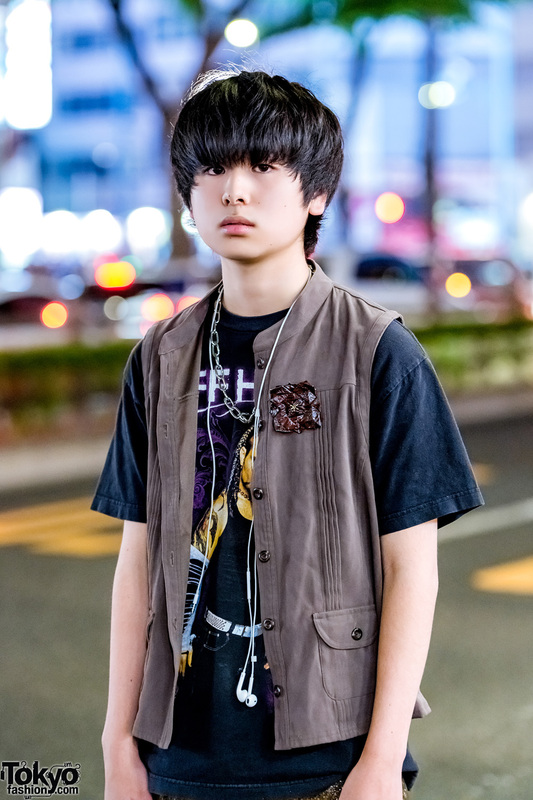 Taira’s favorite fashion brand is Eytys, and he is active on Instagram.